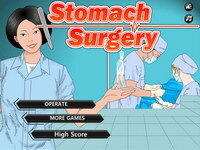 Play free logic games online! Choose the logic game you want to play from the list below. You can sort the games alphabetically, by date or by rating. Almost all of our logic games are playable on full screen. Have fun! Flash CHESS III is not about performance; its purpose is to be fun for you to play and to help you become a better chess player. If you enjoy playing with it then we've succeeded. It implements all chess rules including castling rules, en-passant and draw conditions on three repetitions or 50 pawnless moves. It also features a database with more than 3,000 openings. Match your way to Mahjong mastery! Click on matching-patterned pairs of tiles to clear them from the board. If you get stuck, try a Hint or Shuffle the board! The objective of the Cut the Rope game is to feed candy to a little green creature named Om Nom while collecting stars. 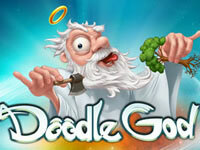 Unleash your imagination and be a God! Create more than 300 concepts and advanced items. Help Fireboy and Watergirl get through each level quickly in this puzzle game. Use the crystals to teleport and collect gems for bonus points. Be sure to keep Fireboy out of the water puddles, Watergirl away from the fire pits, and remember that both of them hate green slime. This duo bested the trials of three other ancient temples. Now they face the most mysterious one yet! Bejeweled, the famous game. Match three gems horizontally or vertically to score points. Be careful! it needs concentration and skill. See how high can you score. The most popular among the Chinese game Mahjong. The only difference - the time limit. The goal is to clear board by removing tiles. You must remove the tilles in pairs. for a tile to be selected it must not have a tile on top, and it must have a space open on the right or the left of it. Turn all people into vampires in this excellent physics game, includes a level editor. Binga is a variety puzzle game that might drive you a little nuts. Use you wits and mouse skills to pass each level and make it on the leader-board. Careful though! Too much Binga could hurt your finga! Shoot, squash, blow up and destroy all the monsters in each level by using your laser cannon. The new Laser Cannon is bigger, better and more beautiful. Who thought fire and water could be the best of friends? You've got two characters to control in this exciting puzzle game. Lead Fire Boy and Water Girl to their designated exits, collecting gems along the way. There are several different types of levels. Pay attention to the shape on the level map and follow the instructions for each one. Minesweeper Mobile, the evergreen classic as you've never seen before. Put your brain to the test in this Sokoban style game, in which you have to clear your way out to the exit. Can you solve Zigmond's 50 challenging levels? Help FireBoy and WaterGirl in their adventure! Control both characters at the same time to solve platformer puzzles! Activate buttons and levers to move platforms, push boxes and roll balls, collect all the diamonds and get each character to his door! A shooting puzzle with a nice soft body physics. 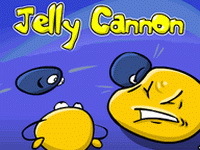 Your goal is to merge all yellow jellies on the level into one big jelly by making smart shots. Match Pickies of the same color to remove them from the board. Go to the pixel world, control the time, examine your enemies and take their treasures! Pixel Explorer is an original game, which combines action and logic games genres. You come from the world of balls. Your speciality is spying pixels, the biggest enemy of your kind. The war between balls and pixels has started long ago, but now is the time, when the real fight begins. Your mission is to go to the pixel world and take pixels treasures. There is no better challenge for a pixel explorer! Get your penquin to the other side of the water by building an ice walkway with various shapes. Bust your own brain with Bustabrain 2: The Dice of Doom! O M G - Blocky is lost! Can u help him get home? Landing on the Home Space: Blocky needs to land square on the home space to complete the level. If he is out of place you may need to reset the level and try again. The upside of blocky can be any color when landing on Green home blocks. See below for other colored home blocks! Colored home spaces: The upside of Blocky needs to be matching the color of the home space when he flips on it. If blocky is facing up the wrong way you will need to try again or reset the level! Gomoku is a traditional oriental board game. The objective of the game is to get five stones in a row, whether in a straight line, horizontally, or diagonally. You can place your stones in an empty cells. If you do it first you win the game. The play button has gone missing again. Can you help find it in each of the scenes? Monkey GO Happy is back again! This time with another monkey to please! In this challenging physics based puzzle and skill game you must drop the objects and use the ball to collect all the stars. 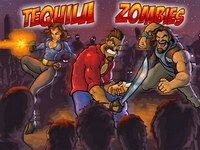 There are 36 levels and 2 bonus levels for the most skillful players. Try to find the electrical source to recharge your mobile device in 8 fun levels! Help Pingi to catch Fish. Drop objects or bombs from the top to move Pingi or Fish. 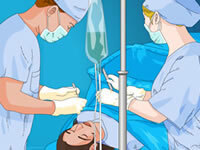 Complete each level as quick as possible to get a top score. Max Connect is back with more brain twisting puzzles! The objective of the game is to connect everything, and then finally return to the yellow connector. Another retro game which is well known to everyone - Sokoban. Goal of the game: move boxes in order to put each one to its place but keep in mind: the main hero of the game can’t move two boxes at once! Try to pass all 50 levels! With each level game becomes more complicated and interesting. Acorn Factory is a physics simulation game. Your job is to send acorns to the goal using different machines, such as pushers and rotators. Click on their red buttons to activate them. By the way, why don't you create your own levels and share them with the world with the built-in level editor? Different clored objects are falling from the top of the screen. To vaporize them, get 3 or more of same colored objects in a row ertically or diagonally. Bombs have broken cannon! But the work should be done! Help bombs to kill zombie-pirates on the far island! - Rich graphics! - 3 type of bombs! - 3 setting in game (beach, forest, volcano) - 30 levels (last is very hard)) - and lot of Fun! Manipulate the power of colors and achieve color awesomeness in this fun retro puzzler based on additive color theory! Collect a primary color to make blocks of that color disappear. Collect a secondary color to make the blocks of the primary colors that make up that secondary color disappear.